Les Trois Vallées is one of the biggest ski domains in France. 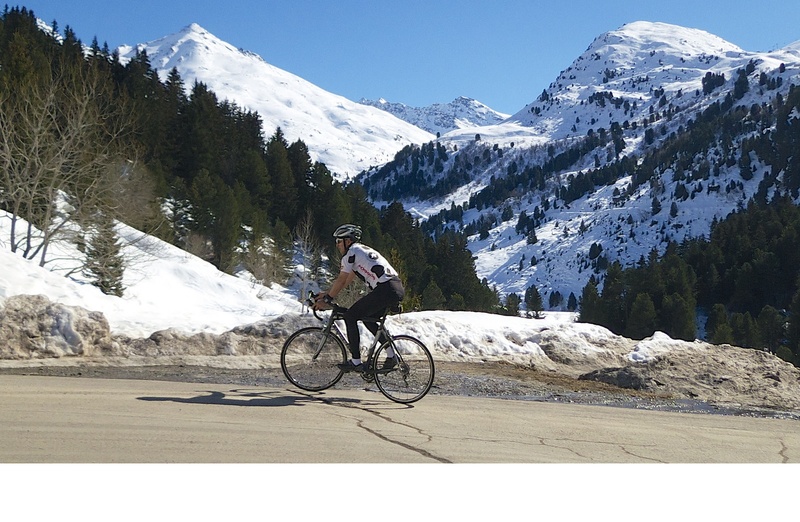 There are huge cycling climbs in all three of the valleys – all starting down low in Moutiers. Climb to Courchevel Le Praz as this will be the finish for the final stage of the upcoming Critérium du Dauphiné in June. 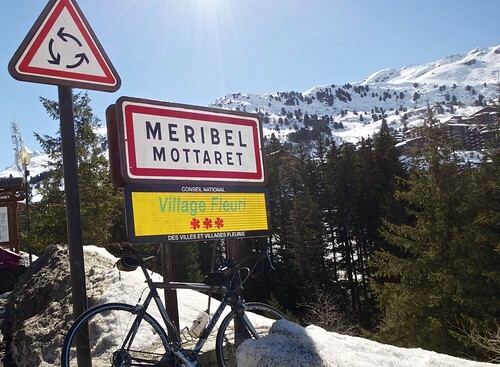 And climb to Méribel Mottaret – the highest point in the middle valley. Purists will want to start in Moutiers but I started a little higher in Brides-les-Bains – skipping a few, non-steep, somewhat busy kilometres. The road to Le Praz is a big, wide road supporting a bunch of ski stations. Frankly, while a nice area, it’s not my favourite climb, although every time you pass an intersection or village the traffic gets a little lighter. Le Praz is at 1300 metres. The paved road in this valley actually goes much, much higher to Courchevel 1850. In fact, the road ends at the airport at precisely 2000 metres. The profile above is for the entire Courchevel climb. 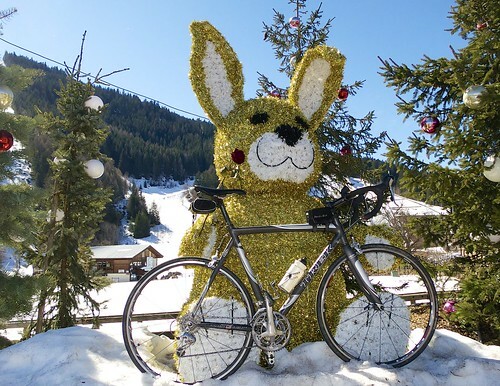 For a map and details of the climb to Courchevel airport see here. But at Le Praz I took a right turn to La Tania. A little village built to house athletes for the 1992 Albertville Olympics. For a couple of truly amazing mountain bike rides high above Courchevel see here. This road is basically a quiet link between the Courchevel valley and the Méribel valley. At Creux du Loup the road descends down into the original Méribel village. By far the best climb in Les Trois Vallées is in the third valley to Val Thorens. 38 kilometres, to 2400 metres! See here for details. I then joined the main road and continued up to the very, very end at approximately 1800 metres on the far side of Méribel Mottaret. The profile above is solely for the Méribel valley all the way from Moutiers. 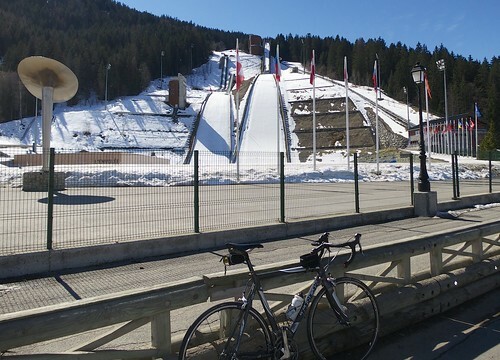 It is probably a little quieter than Courchevel, and quite a big climb from Moutiers. Spring is here. I barely needed a jacket for the long, fast descent. Another big climb in the Trois Vallées. A little too much traffic for my taste, but OK on big roads.